Stephen Aumock explains why angle of attack is a major focus point of tour professionals. 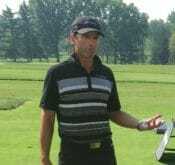 He takes an in depth look at the different aspects, of the golf game, that angle of attack affects. 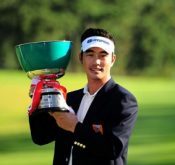 Congratulations to Hyung-Sung Kim on winning a JGTO tournament, the Top Cup Tokai Classic. Kim, birdied four of the final 5 holes to secure a place in the two man playoff. A birdie on the second hole of the playoff secured him the victory. For the full article follow the link below.